Roselyn Campbell earned both a B.A. and an M.A. in Anthropology from the University of Montana, focusing on archaeology and bioarchaeology. Roselyn’s masters’ thesis analyzed the uninscribed tombs in the Valley of the Kings in Luxor, Egypt. She has conducted fieldwork in Egypt, Peru, Ethiopia, Spain, and the Western United States. Roselyn’s research interests include the study of ancient human remains, evidence for violence and trauma in the ancient world, and the study of cancer in antiquity. 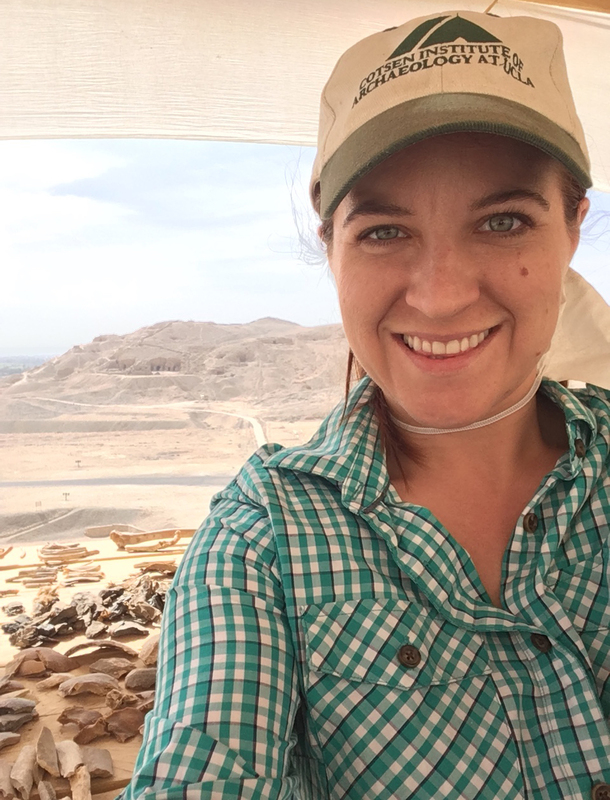 Her dissertation addresses the topic of violence and human remains in ancient Egypt. 2018 -- Cole, Sara, Judith Barr, Roselyn A. Campbell “A Man in His Duty: An Ushabti of Neferibresaneith at the Getty” Getty Research Journal 10:191-206.